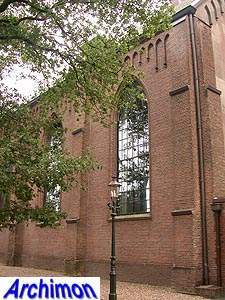 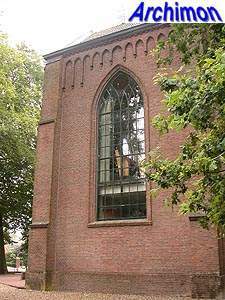 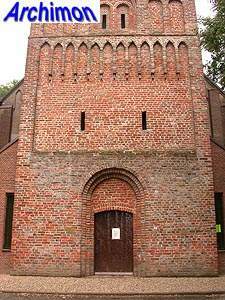 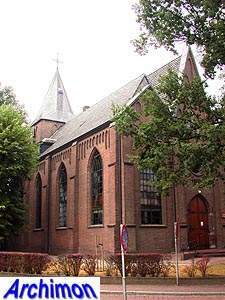 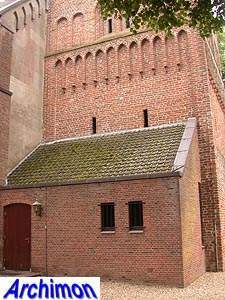 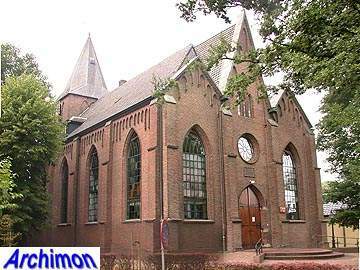 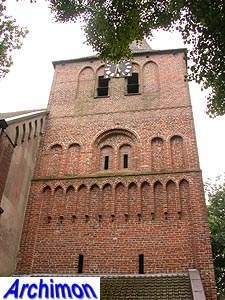 The origins of the reformed church of Garderen go back to the 11th century. 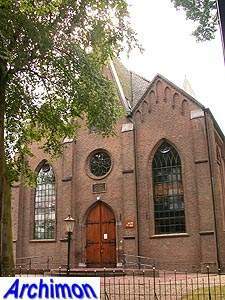 It's known that a church was founded around the year 1050, which was replaced in the 14th century. 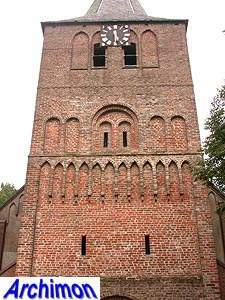 From this period the tower remains, which is decorated with Romanesque details. 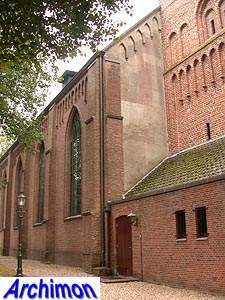 In the 15th century the upper segment was added. 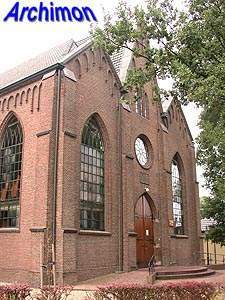 The current spire is from the 18th century. 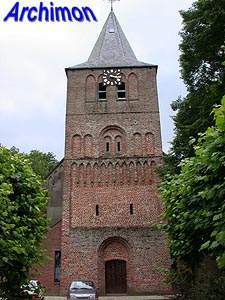 The church burned down in 1571 and was rebuilt two years later. 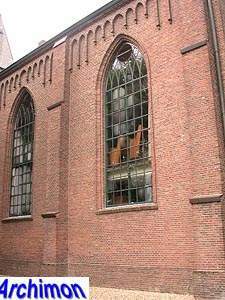 In 1859 the nave was replaced by the current one in early Neo-Gothic style; although shapes have been used that were derived from Gothic, like the large pointed windows, the construction shows a lack of understanding of medieval architecture. 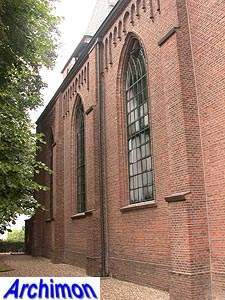 While the exterior suggest a three-aisled layout, something in between a hall-church and a pseudo-basilica with seperately roofed aisles, the interior shows a single aisle only. 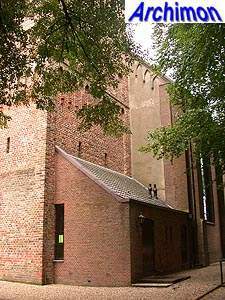 Although the tower has a portal, the main entrance to the church is now at the east side.